I’ve mentioned a ton of times how wax darkens raw wood. It’s true. You guys have seem me use the wax after distressing furniture and getting down to raw wood. Well this project is really distressed. It’s not for the faint of heart. But, there are reasons why I distressed so heavily. This piece had issues. 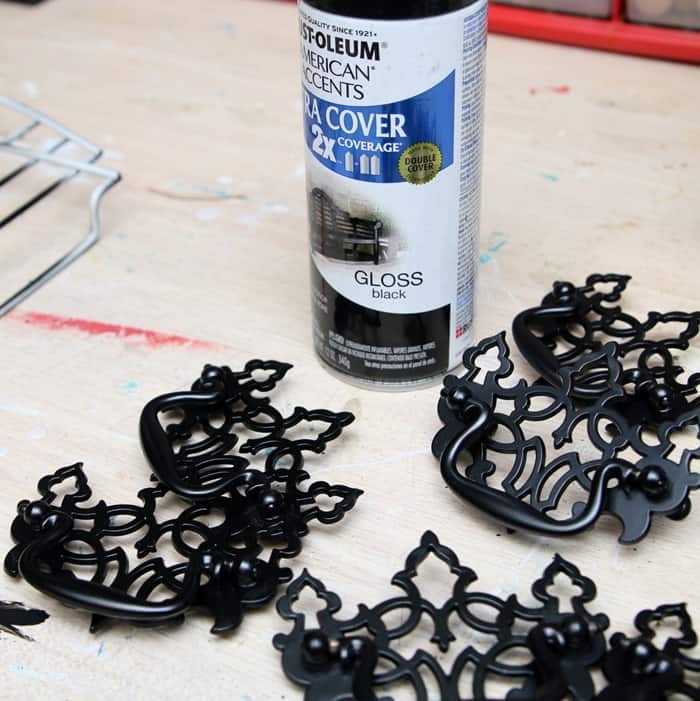 There is no paint color as dramatic as black. I love using black paint. It makes everything pretty. 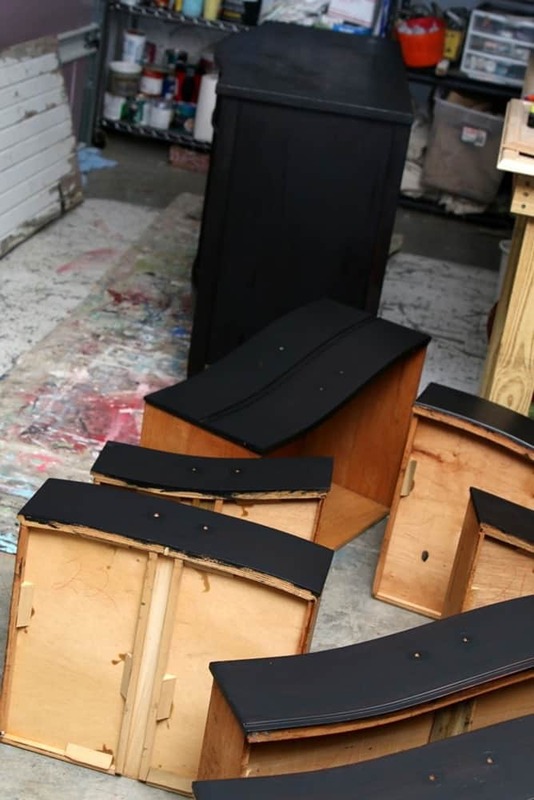 You’ve heard of the basic black dress, well basic black furniture is the same. It can go anywhere. 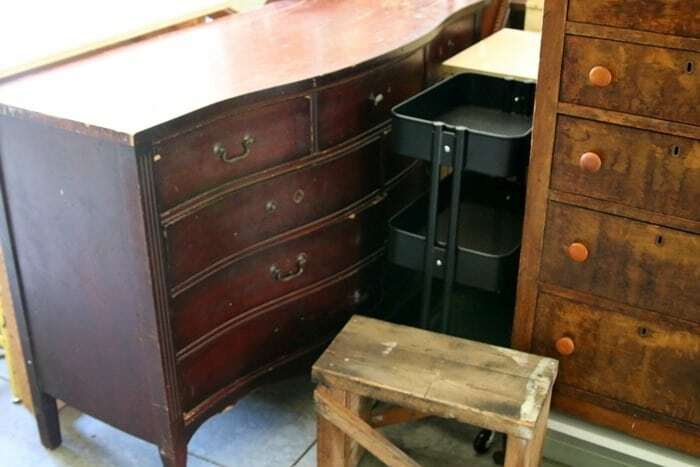 This is the sideboard/buffet stuffed in with other furniture. I can’t find my good photo. See where there is missing hardware? I went through my stash of drawer pulls and came up with a set to replace the original hardware on the sideboard. As I mentioned this piece had issues. For one thing it was filthy. I cleaned and cleaned on it. There were also deep scratches on the top. The last steps in prepping it was cleaning with Simple Green then taping the hardware screw holes so the paint wouldn’t leak into the drawers. Now I’m ready to paint. The paint is Beyond Paint and the color is Licorice. 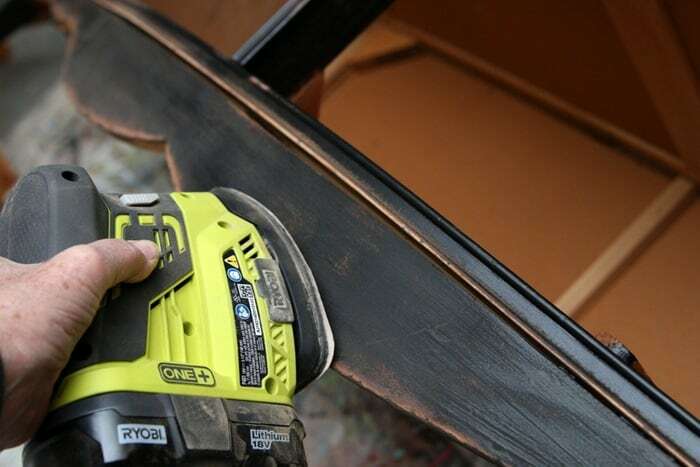 This paint requires no sanding or priming and is a sealer also. You only need the paint. That’s it. The reason I decided to distress the paint heavily is because of issues with the finish. The paint job was splotchy. 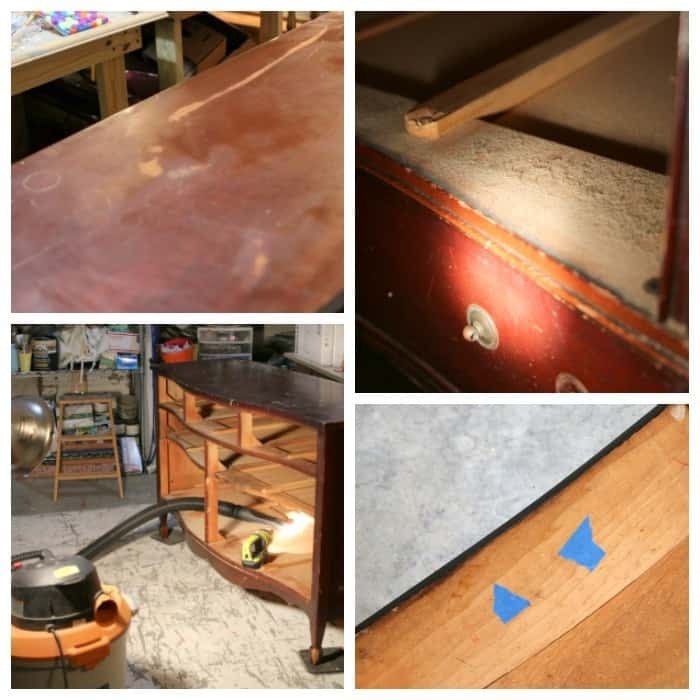 I think there was an oil of some kind (maybe furniture wax or oil) on the sideboard and there were discolored areas. That is almost impossible to cover up. Unless you distress everything down to raw wood. At this point I wasn’t doing that. 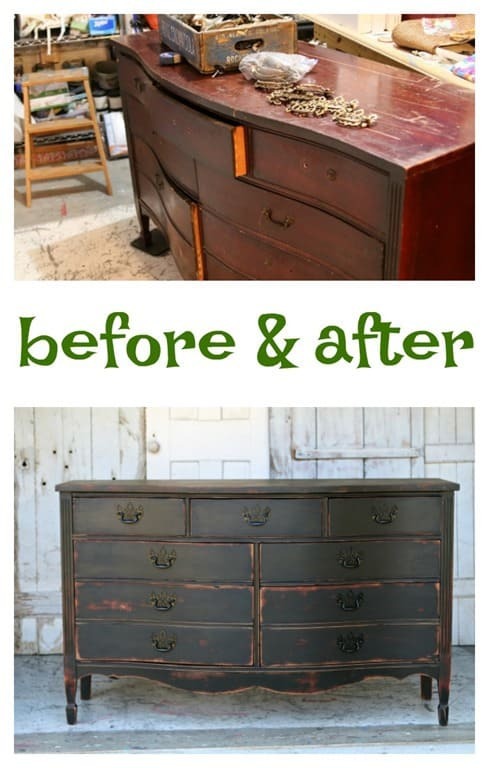 After distressing the paint I wiped on a coat of Howard’s wax, color Walnut. 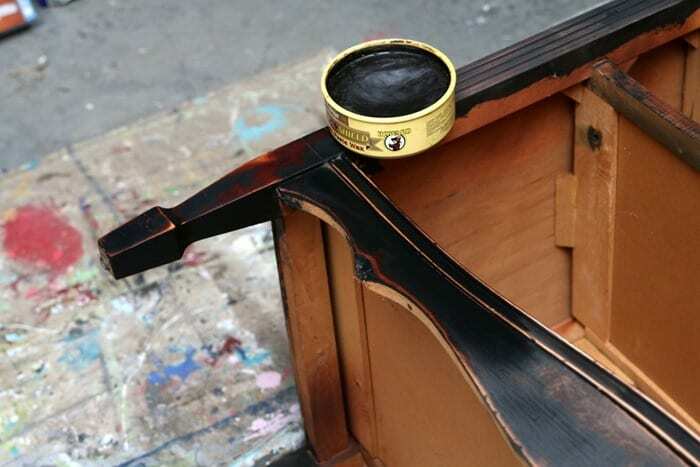 The wax gives a smooth finish, darkens the raw wood, and softens the white haze from the distressing. I’ve also used the Howard’s Wax to antique or age furniture. 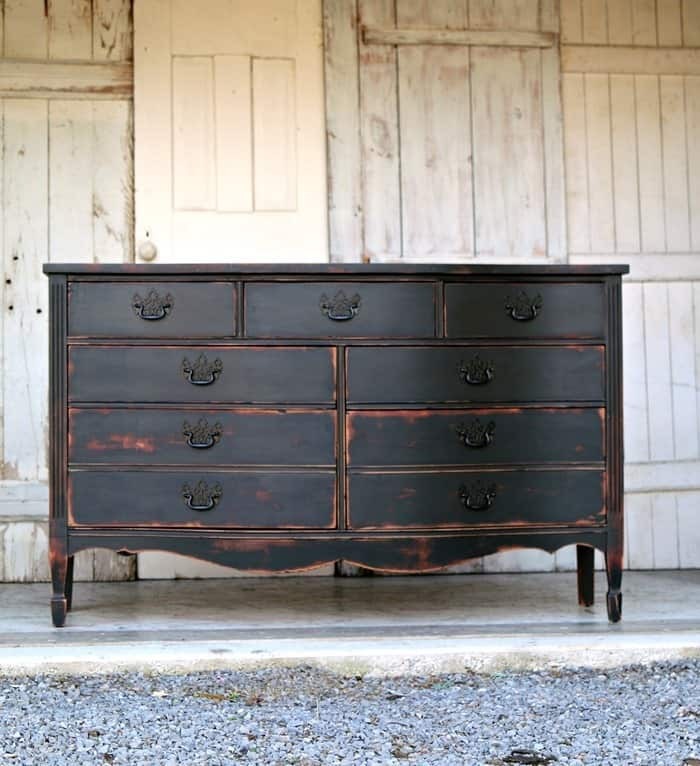 See it here….Red Cedar Chest Antiqued. 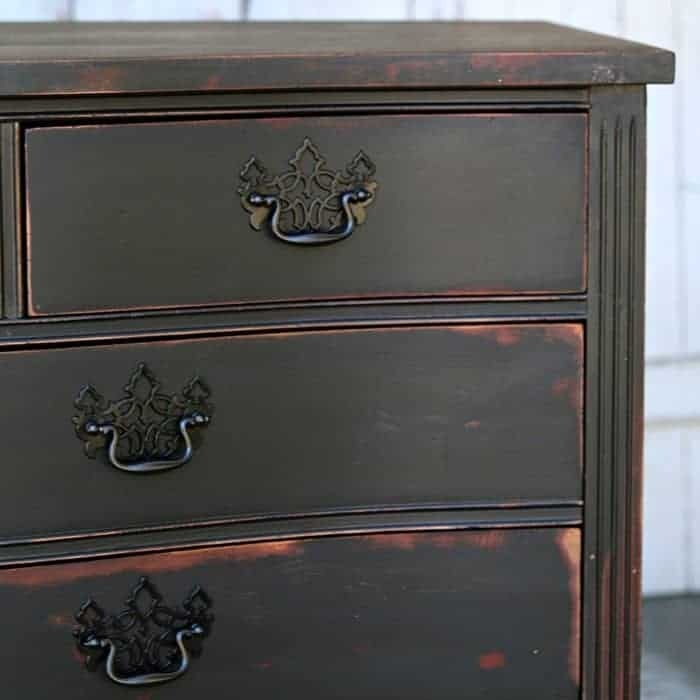 I spray painted the hardware with Rustoleum Gloss Black. 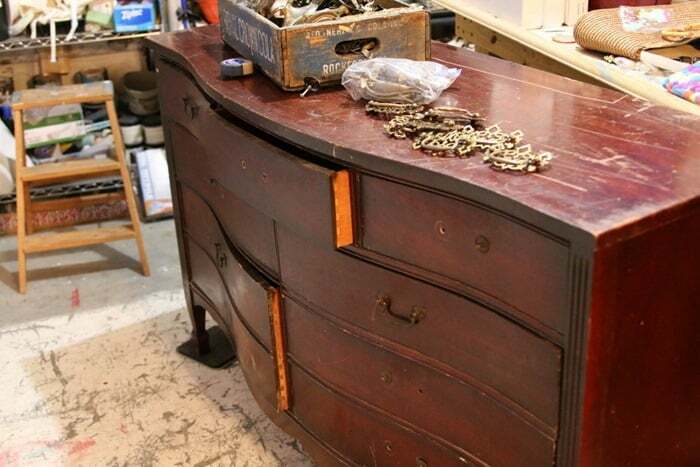 The sideboard is distressed similar to the Pottery Barn knock off I did about a year and a half ago. The project piece that was my inspiration was heavily distressed on the base but not so much toward the top of the piece. That’s the look I was going for here. 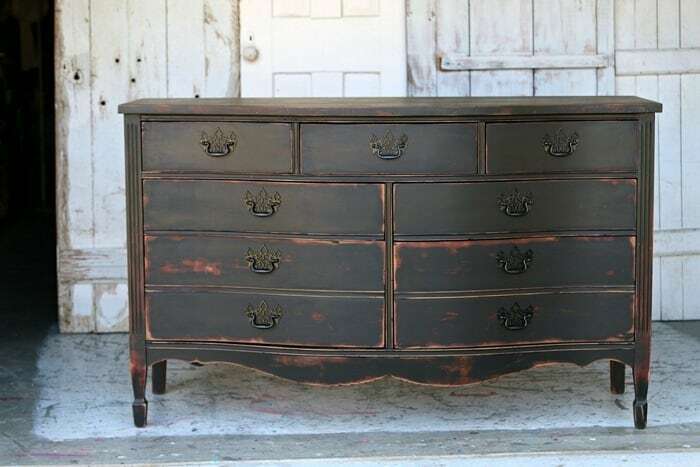 To see the Pottery Barn Knock Off I did earlier click here….Black Distressed Dresser. I know this look might not be for you. That’s okay. I made a list of the supplies I used in this project. The list contains Amazon affiliate links. You can read my affiliate disclosure here. Just click any of the products to view on Amazon. Kathy, I have a question on the Beyond Paint. How much paint is in the container? the picture doesn’t look really big. How many projects did you get out of 1 container? Hi Cathy, It is a quart of paint. I think you could do 3 pieces this size with one quart. It goes a long way! I have a buffet that is similar to this that was “donated” to me. It was a curbside find by my daughter – I just love those. I’ve been debating about color but definitely think black is the way to go after seeing yours. Mine has issues too with a seriously scratched top and missing veneer. Thanks for the inspiration. and trying to copy what you did with the black on the lower part. Someone once told me that every room should have something black in it. Thank you for your inspiration! I also LOVE black furniture. Great job! its beautiful, as are all your pieces. thank you!